Coffee Talk is an opportunity to to chat with members of the community about the most recent headlines and other topics while enjoying a coffee or tea in the Youth Room at METRO Community Center St. Pete. 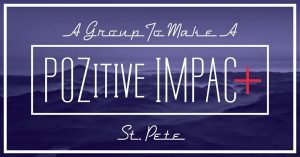 This group will provide a safe, fun environment for young trans youth (12 & under) to socialize with peers while their parents have the opportunity get support from others with similarly identified children. Email TransCommunity@MetroTampaBay.org with any questions or for more information on Trans and/or LGBTQ+ Youth programming.